In the beginning of the portion the Creator thanks Pinhas for stopping the plague and gives him a “covenant of peace,” and a “covenant of an everlasting priesthood” to him and to his descendants. All the while, the children of Israel are preparing to fight the Midianties. Following the instructions of the Creator, Moses divides the land into lots, following censuses held in the people by tribes and by families. At the conclusion of the censuses, the daughters of Zelophehad, from the tribe of Menashe, complain to Moses that their father died and as women, they did not receive their lot. Moses looks into the matter and the Creator rules that to do justice, the daughters of Zelophehad will be given a lot in the land, which will be named after their father. The Creator commands Moses to climb up the Mountain of Avarim to see the land of Israel, which he will not enter, and to appoint Joshua, son of Nun, as his successor. At the end of the portion there is a detailed description of the offerings that needed to be sacrificed each day and on different occasions during the year. According to The Book of Zohar, the portion, Pinhas, is profound and evokes many questions. The story tells of people such as Pinhas, who are seemingly greater than Moses. The Creator blesses and praises him that he is as great as Joshua, that he is replacing Moses, who is climbing down from center stage. There is also the issue of women’s rights, some of whom can be as the men, receiving a lot. As we know, the Torah does not speak of corporeal events or physical bodies, but of souls. The souls are what is important, the eternal part in each of us. This is why we need to understand that the text describes the “human within us,” which must experience all the portions of the Torah along the spiritual development. This portion speaks of a very special point that awakens in us, a special desire called Pinhas.Only this point, this desire, achieves the “covenant of peace”—peace and wholeness with the Creator. The desire known as Pinhas unites in Dvekut (adhesion) with the Creator, in a covenant of complete and eternal connection, which lasts forever and does not wane. This is the first of the stages of correction and connection that the soul goes through. In that correction it becomes attached to the highest degree in its correction and development. The second stage comes after all the successes of the children of Israel. Now all the forces within us are called Israel, Yashar El (straight to God), having received the previous corrections. A person begins with an egoistic will to receive that has come out of Egypt in its entirety. In that stage, a person has hardly escaped one’s ego, and wants to avoid using one’s egoistic qualities. In that stage a person has nothing. It is as though one is standing in the desert with nothing to eat. “Eating” is an attainment of spirituality, which fills the soul until it is completely satiated with Godliness, with the revelation of the Creator. “Return, oh Israel, unto the Lord your God,” consciously, with understanding, fulfillment, and a sensation of the attainment of the Creator. These are the stages of the correction of the soul from the entrance to the desert through the wars, and up to that point, Midian. Once we have a grip of a high degree, a part of the common soul, then we are all parts of a single soul, “as one man with one heart.” We are all in mutual guarantee, in that covenant that we agreed on for the first time when we received the Torah. The children of Israel constantly keep strengthening the covenant. Each day we pass through the “desert” in our empty lives, not knowing what to do, immersed in struggles and corrections. Each transgression and mistake that the children of Israel make is because the evil inclination is surfacing. However, it is a descent in order to ascend. We discover that we are broken and cannot bestow, so we cry out and demand the light that reforms. The light, meaning the Creator, comes and corrects, and guides us on how to act against the will to receive. It is called “punishing the ego,” so the man in us ascends. This is the process we go through. It is a stage of deep egoistic discernments in a person, which one can correct. These discernments are called Midian. This is how Moses—who emerged from Pharaoh’s house—grows. His wife comes from the house of Midian because Jethro was the priest of Midian. Moses nurtures Pinhas. Pinhas is in fact Moses on a higher degree, and in this progression it is a complementation of the degree. On that stage, all the forces, all the elements within a person are ready to wage war on Midian. A “war” is a reawakening of all the corrupted desires in a person that seemed to have calmed down, but which have yet to be corrected. We must reawaken them and mend them. It is a time to calculate, to find out the number of Israel, who is on the camp, who is outside the camp, and for counting the heads of the tribes. Calculating means reaching a degree in which the light of Hochma (wisdom) dresses in light of Hassadim (mercy). Seeing a calculation (accounting) is the light of vision, the light of Hochma that we see. On that degree we can already count what is in it and what is not. It is not a degree of VAK, the degree of the desert. Rather, it is already the GAR of the degree. On a complete degree there is light of Hassadim and light of Hochma. Using one’s desires is done both in bestowal and in the intention to receive in order to bestow. These are acts of Gadlut (adulthood) of the degree, with which one corrects one’s soul on a very high level. It is a profound correction of part of the will to receive, of the deficiency in the soul. This is why the women come and say, “We need the correction and we cannot receive it. How do we do it?” It is the point of deficiency in a man, the profound will to receive that is corrected into working in order to bestow. This is also the reason for Moses’ reply to the daughters of Zelophehad. For this reason, when the biggest desires appear, the desires called “a woman’s desires,” it is possible to correct them as with those of a man’s. With the men it is an intention to bestow in order to bestow, while with the women it is an intention to receive in order to bestow—bigger desires and deeper corrections. The portion, Pinhas, narrates a stage in the advancement toward the end of correction. The portion details very deep corrections in the soul, in the corrected part of the soul. Our soul is the entire desire that the Creator created. It appears as broken in us, as our ego that must be corrected. We should be happy when a piece of ego appears because it is written, “I have created the evil inclination,” which is the appearance, “I have created for it the Torah as a spice,” because “the light in it reforms.” That is, after the revelation of the evil inclination in us, once we have learned that we have no idea how to work with it, we discover the spice of Torah. Through the Torah we can correct the evil inclination. The spice is the hidden light that is called Zohar (brightness), or Ziharah Ilaa (Aramaic: upper brightness). This is the light that corrects and reforms, and this is the process we must undergo. Afterward, the portion speaks of Moses climbing Mount Avarim and watching the land of Israel from there. This is the conclusion of the degree of Moses, who is the “faithful shepherd,” entirely adhered to Bina, bestowal, the aim to bestow in order to bestow. That state does not allow him to enter the will to receive called “the land of Israel,” in which the correction is to work in order to bestow. The Hebrew word Eretz (land) comes from the word Ratzon (desire). The word Ysrael (Israel) comes from the words Yashar El (straight to God), meaning straight toward bestowal. This is why that stage was given to Joshua and not to Moses. The Creator said to Moses that his place was given to Joshua, that he is the one who will enter the land of Israel, while Moses will stay outside, on Moses’ degree. The next degree is the next stage, which Joshua, son of Nun, must correct. Joshua is an extension of Moses’ degree, just as Pinhas is an extension of the same soul. The quality called Moses in each of us develops into the quality called Pinhas, then advances to the next quality, Joshua. Moses, the observer, brings the light of Hochma, the light of seeing. He brings that degree to all of Israel. However, the one who carries out this action is the corrected part in the soul, which is called Joshua, son of Nun. The portion also speaks of the offerings (sacrifices). When a person discovers that one’s nature is bad, a person wants to rid oneself of it and escape it. Such a person is willing to sacrifice, burn, kill, slaughter, anything to rid oneself of the evil inside. In sacrificing, a person does not slaughter something outside, but only the beast within. Such a person slaughters the vegetative, and even the still (inanimate) within, using water and salt, as it is written, “On all your offerings you shall offer salt” (Leviticus, 2:13). We “process” the desires below the human degree—on the degrees of still, vegetative, and animate—through the human degree in us. We turn desires that were with the aim to receive, egoistic desires with the evil inclination, into such that work with the aim to bestow. We sacrifice them. In Hebrew, Makriv means both sacrificing and bringing closer. Thus, we bring the desires closer to correction, and through it we draw closer to the Creator and become like Him. This is called the “work of the sacrifices,” “holy work,” “work of the priests,” the “Levites” that exist within us. Israel is the part that brings the offerings. The part of Israel within us brings the part in the desires on the levels of still, vegetative, and animate to the Levites and the priests. In this way we take all the desires within and raise them to correction through the work of the sacrifices. Each time, we correct our corrupted desires and add them to the structure of the soul in us. The corrupted desires are called “desires that comprise the soul, the “Kli (vessel) of the soul,” the “body of the soul.” The desires are corrected to work in order to bestow, for the sake of others, and from the love of others to the love of the Creator. This is why it was said that Pinhas did not die like others. Rather, it is a stage within us that only grows. It is that corrected degree of attainment of Godliness within the corrected Kli with the light that fills it. Can spirituality be passed on by inheritance? There is an unbreakable law here: it is all one man. There aren’t many people in the world, there is only one. In other words, the Torah is written for a single person, who includes within the entire world. It is written that “Man is a small world” (Midrash Tanchuma, Pekudei, item 3). Everything is included within us; we perceive the whole of the outer reality within us. We have no idea whether anything exists outside of us. All we know is that we feel it within. For example, when we touch something, we cannot tell whether we are actually touching it, but we can feel it as solid, liquid, warm or cold. We feel that it exists and that we are touching it. But in the end, all we feel is ourselves. We see ourselves existing in some reality, but that reality is depicted within us, in the back of our minds. The people and the objects around us are not really there; they are within us. The reality we perceive is divided into still, vegetative, animate, and human. We are the ones who sense all of them in this way because this is how our will to receive is built. It is divided into four stages—1, 2, 3, and 4—where it perceives sensations and impressions. As far as the history of the Jews is concerned, it is as though the Torah describes a play, but these are all things that happen within us. If we want to read the Torah as it truly is we should ascribe everything that is written there to ourselves. 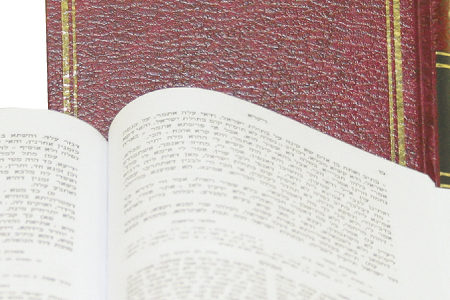 We should read every word in the Torah as an explanation of what exists within us: Pinhas, Joshua, Midian, a Priest, a Levite, Israel, the tribes, and everything else. A priest, for example, is a degree of a person. It arrives when the will to receive is entirely corrected into working in order to bestow. This is why priests have no lot. When the degree of Moses ends and the degree of Pinhas begins, Moses climbs Mount Avarim and looks at the land of Israel. It is a certain degree called “seeing.” Through it he makes a correction for the entire nation. What is the correction of seeing? Moses performs a great correction. There is a correction in potential, and there is a correction in actuality, de facto. A correction in potential is when there are still no Kelim (vessels) that are large enough to fit the correction. Moses is a degree in which one does not work with vessels of reception with the intention to bestow. This is why he did not enter the land of Israel—the desire that must be turned into Yashar El (straight to God), Israel. His following degree, Joshua, son of Nun, will do it, as it is a more practical degree. Joshua is an extension, a degree that is annulled before the degree of Moses. This is why Joshua was Moses’ assistant, always supporting and always by his side, and he was chosen to succeed him. The relationship between them was such that Joshua would set up the benches at Moses’ seminary. However, Moses, too, made great spiritual corrections. He belonged to the degree of Bina. But because Bina is detached from Malchut, Joshua was the one who implemented the corrections.